After a few days in the fanciest hostel we’ve ever stayed in, we saddled up again to head east out of Santa Ana. This time around we got to avoid the highway and instead meandered along beautiful winding back roads, almost completely devoid of traffic. It’s astonishing how much of a difference it makes to not constantly be honked at or passed by cars. At the end of the day we reached the lovely mountain town of Suchitoto, which our reliably unreliable guidebook called out as the go-to retreat for the fancier folks of El Salvador. While there weren’t any particularly thrilling sights from a cultural standpoint, the town’s laid back atmosphere and great street food were more than enough to convince us to hang around for a couple days. We even saw some familiar faces: Niels and Mariyana, the German couple we’d met in Santa Ana! They had passed our sweaty selves on the bus to Suchitoto and we ended up staying hospedaje again. (Guess you can’t complain about $7 per night.) What a very pleasant surprise! 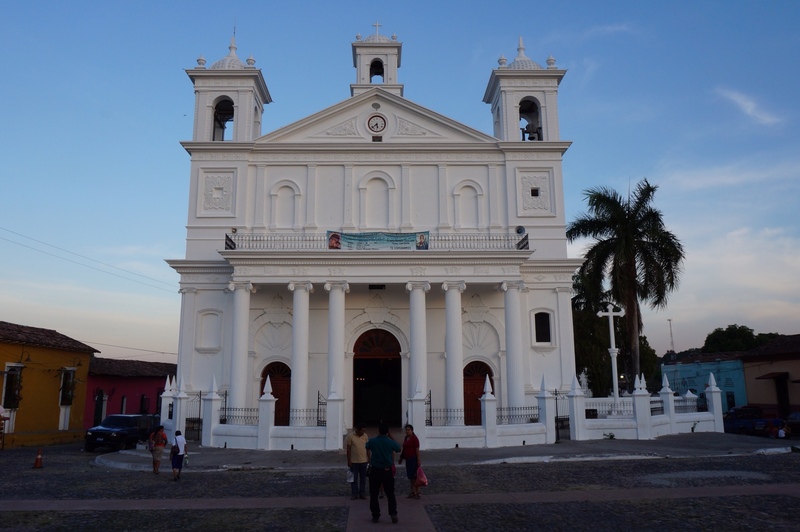 The picturesque plaza central of Suchitoto. After a few days of lazy sightseeing in Antigua, we bucked up and set our sights on Lago Atitlán. There is a good reason why some call Atitlán the “eighth wonder of the world.” But to get there we had quite a day ahead of us. 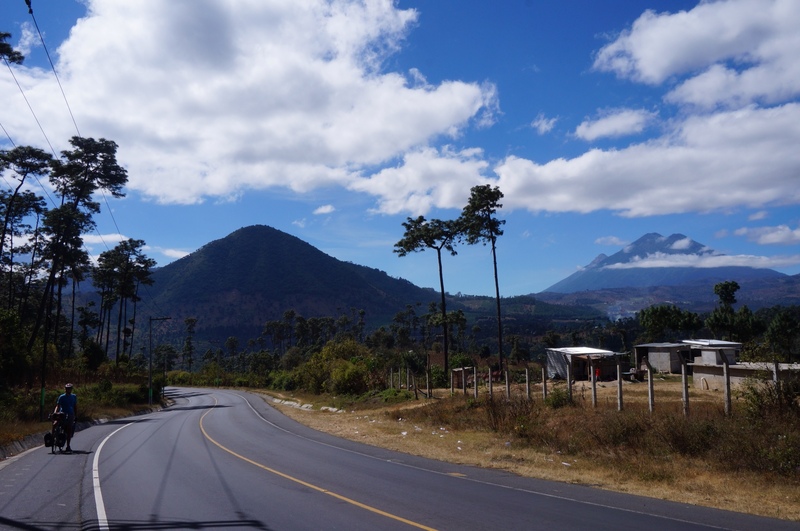 Leaving Antigua to the north, we yet again fought up Guatemala’s signature steep ascents, accompanied by volcanic vistas, truck traffic, and blistering heat when the wind wasn’t blowing gritty dust directly into our faces. After a few too many hours of this, we finally turned off the main highway and onto the old Antigua-Atitlán road – a welcome respite that brought us right into the hills surrounding the lake. Just another day, riding up and down and around in the land of volcanoes.